One of the glories of Great Britain is that we are a nation of animal lovers. Many of my constituents have written in to me regarding animal sentience, and particularly the proposed New Clause 30 to the EU (Withdrawal) Bill. Unfortunately, a great deal of nonsense has been written regarding the Withdrawal Bill, claiming that it does many things which it in no way does, or that it changes things that it will have little or no effect on. The United Kingdom was the country that persuaded the rest of the European Union to recognise animal sentience in law, and the EU (Withdrawal) Bill will not in any way alter the current standards for animal welfare. Article 13 of the Lisbon Treaty (which New Clause 30 sought to transfer directly into UK law) has simply not delivered on the progress we wished to see across the EU. Unfortunately, it has failed to prevent cruel practices in other parts of the EU where enforcement of standards is not as strong as it is here in Britain. Meanwhile, government ministers are moving to improve animal welfare standards without input from the European Union and beyond the scope of Article 13. This is entirely right and I support it, as I made known to the Environment Secretary in the House of Commons the other day when I encouraged him to ban the export of live animals – something our current membership of the EU makes impossible. Among the most recent steps taken is that closed-circuit television will become mandatory in all slaughterhouses. Further to that, a consultation has been launched on draft legislation to jail animal abusers for up to five years. We are also introducing Europe’s most comprehensive ban on the trade in ivory, which has become so destructive of wildlife. As you can imagine, Brexit is continuing to take up a lot of our time here in the House of Commons – as it quite rightly should. I must correct some of the misconceptions which are coming out regarding the ongoing negotiations to find an agreement to leave. First of all, the Prime Minister has made clear that no deal is a better option than a bad deal, and civil servants have been preparing for that option accordingly. More recent announcements regarding the role of the European Court of Justice have been overplayed in the press. It is not that we would continue to be subject to the ECJ after Brexit, merely that UK judges would continue to have the ability to consult the ECJ for a definitively time-limited period of a number of years, and that even this would be limited to specified areas of jurisprudence, for example the rights of EU citizens who continue to live, work, and make their existence here. I cannot emphasise enough – there is no going back. 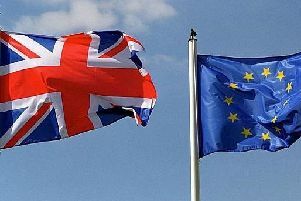 The United Kingdom will be leaving the European Union in 2019, but we will continue our friendship and strategic partnership with our European friends, we hope in perpetuity.